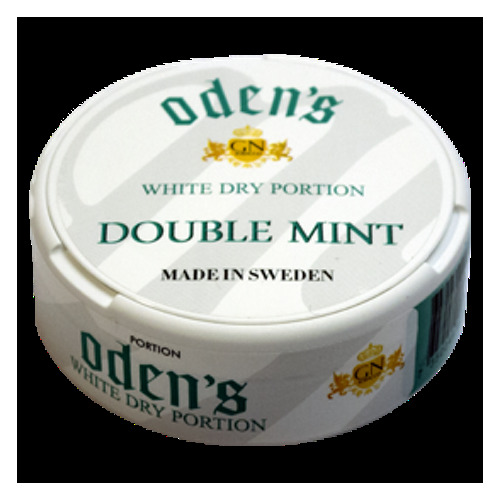 Odens Double Mint white dry portion snus is a perfect choice for users, who prefer minty flavors with regular nicotine content (9 mg per gram). This snus comes in white dry portions, that are lighter in weight and do not drip as much as brown portions, proving long-lasting experience. 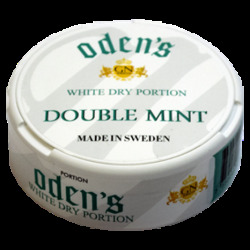 How do you like Odens Double Mint White Dry Portion? Rate it! Balanced combination of sharp menthol and peppermint. Portions of this snus are soft, pleasant under the lip, pretty full too. The aroma is sharp, fresh, cold. Taste lasts a loooong amount of time, insane longevity (just like every other Odens white dry portion). 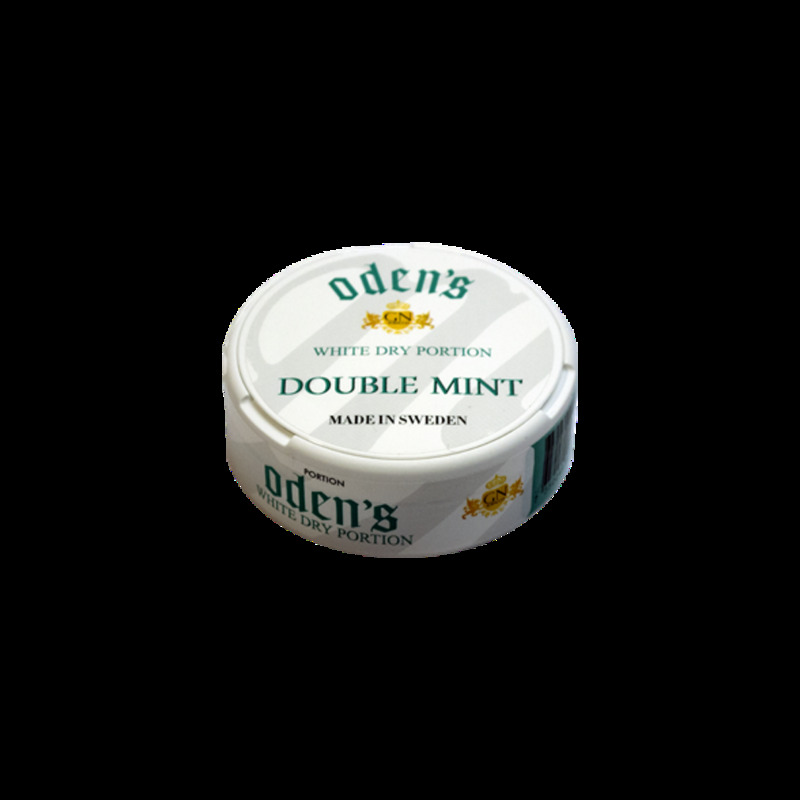 I personally like this one even more than the Odens Cold, since it brings 2 flavours at once, the menthol and peppermint, which are both balanced in a 50:50 ratio. Excellent snus, I highly recommend you trying it.